​SEOUL -- Jin Air, a low-cost airline run by South Korea's embattled Hanjin group, was kept alive Friday after transport authorities decided to impose sanctions such as restrictions on new routes instead of canceling its business license over a scandal involving the youngest daughter of group owner Cho Yang-ho. 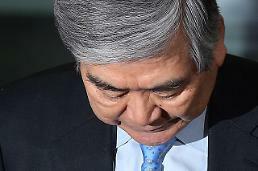 The decision followed a period of probe and debate among policymakers and experts over whether to revoke Jin Air's license because Cho Hyun-min, an American citizen, illegally served as the airline's board member for six years from March 2010. Foreigners are not allowed to join a board of directors at domestic airlines. 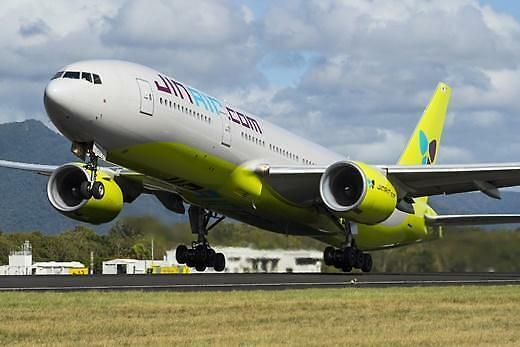 The Ministry of Land, Infrastructure and Transport said Jin Air would not lose it license due to concerns about an adverse impact on South Korea's aviation industry, job security and the interests of small investors. 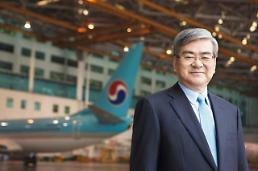 Instead, Jin Air will not be given new air routes, new airplanes and non-regular flights for a certain period. The ministry would maintain sanctions until the company normalizes management by faithfully improving its corporate culture. Hanjin and Korean Air, the country's top flag carrier, have seen their image plunging since Cho Hyun-min allegedly threw a glass cup and sprayed plum juice during a business meeting with advertising agency officials on March 16. She told investigators that she lost her temper because the advertising company did not properly answer her questions. 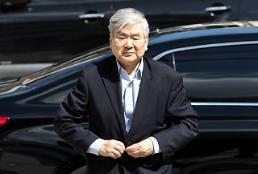 The scandal fueled widespread public anger, leading to multiple investigations into illegal activities by the chairman's wife and two daughters who have been questioned on charges of creating a slush fund, evading taxes, bringing in luxury foreign goods illegally, abusing and assaulting company employees and others. On July 6, the group chairman was released from temporary custody after a court refused to issue an arrest warrant. He is suspected of awarding improper contracts to companies controlled by his family, using company money to pay attorney fees for him and his family and using a borrowed name to run a pharmacy illegally. In December 2014, Cho Hyun-ah, the chairman's eldest daughter, became enraged when a flight attendant served her some nuts in a bag, rather than on a plate, on board a flight that was forced back to the gate while taxiing to the runway. She received a twelve-month prison sentence for violating aviation safety laws, but an appeals court handed down a suspended jail term, allowing her to walk free in May 2015.